Your tires are one of the most important items on your vehicle. Why would you just trust anyone to make sure you had the right tires for your Kia? 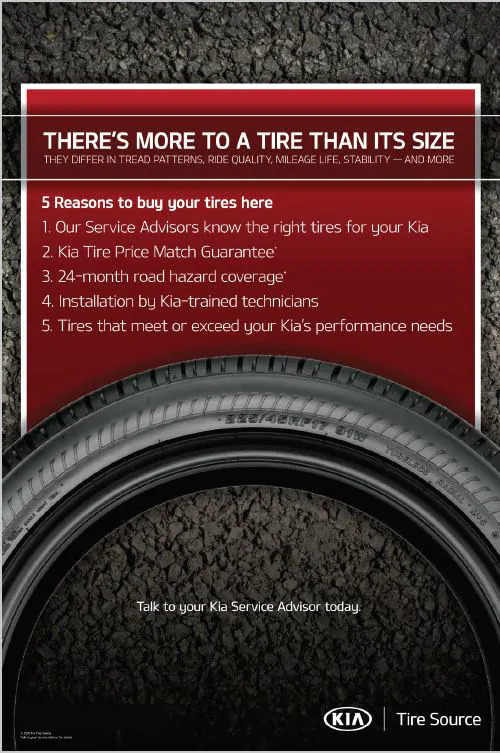 Orlando Kia West service advisors are the experts on which tires are right for your specific Kia. So when you need to get new tires make sure you trust the experts at Orlando Kia West. 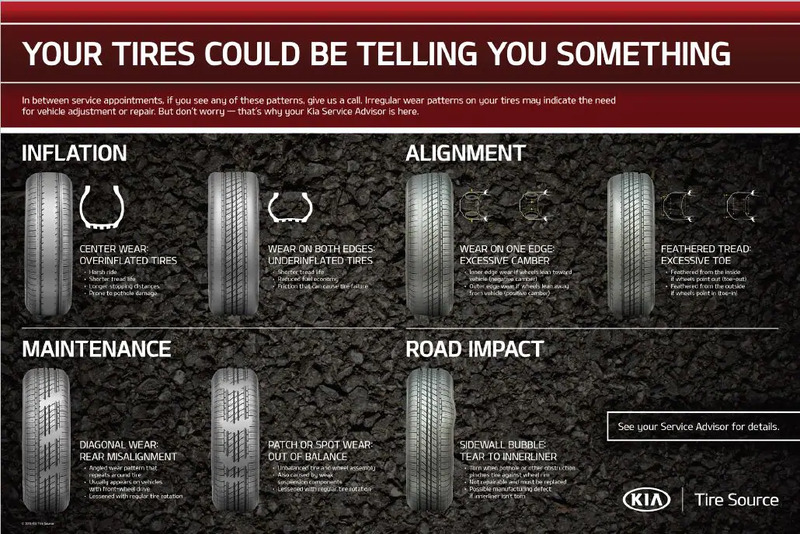 Take a look at the chart below there are a lot of things that will impact your tires and Orlando Kia West wants to make sure that you are safe and your tires last you as long as possible. When it rains in Florida how soon will you stop? Who are we kidding it seems like it always rains in Florida, the amount of tread on your tires will have a big impact on how soon your vehicle will come to a stop. As you can see from the illustration below if your tires become to worn it may take up to almost 10 car lengths (~157.6 ft.) more to stop your vehicle just going 60 miles per hour in wet road conditions. 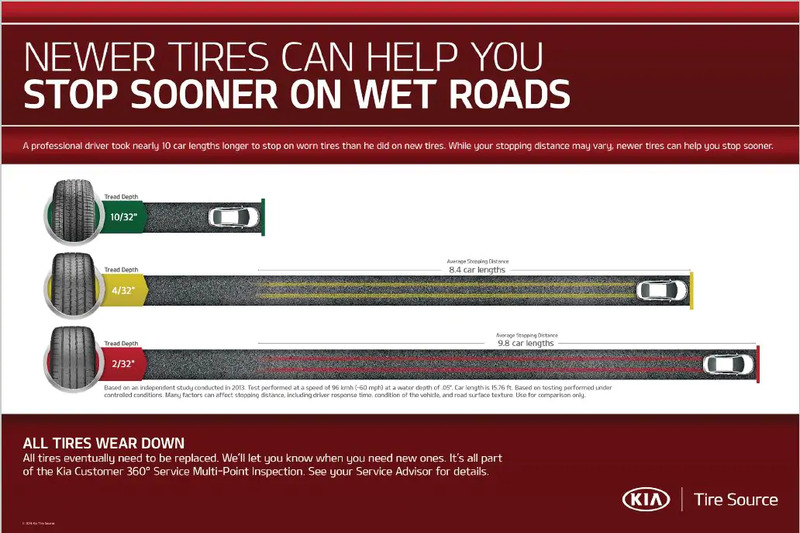 When you buy your tires from Orlando Kia West you will receive for FREE 24-Months Road Hazard Coverage. What's covered? 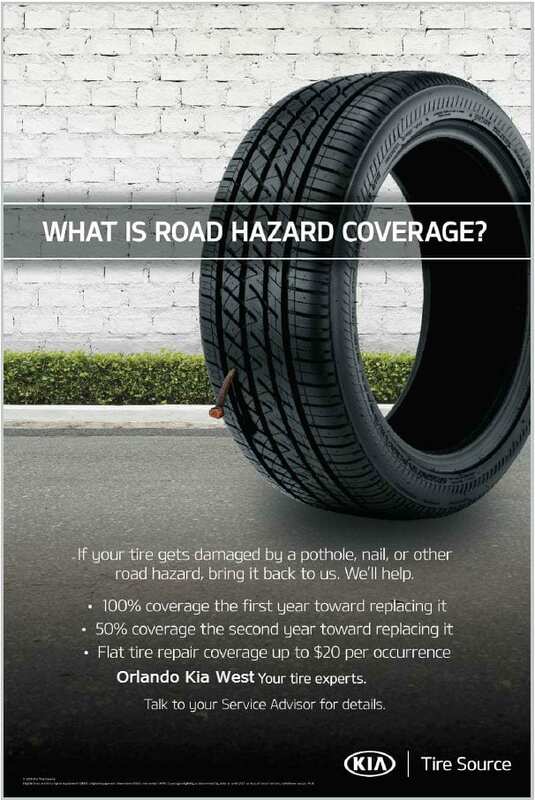 If your tire gets damaged by a pothole, nail, or other road hazard, bring it back to us. We'll help. Talk to your Service Advisor for details.